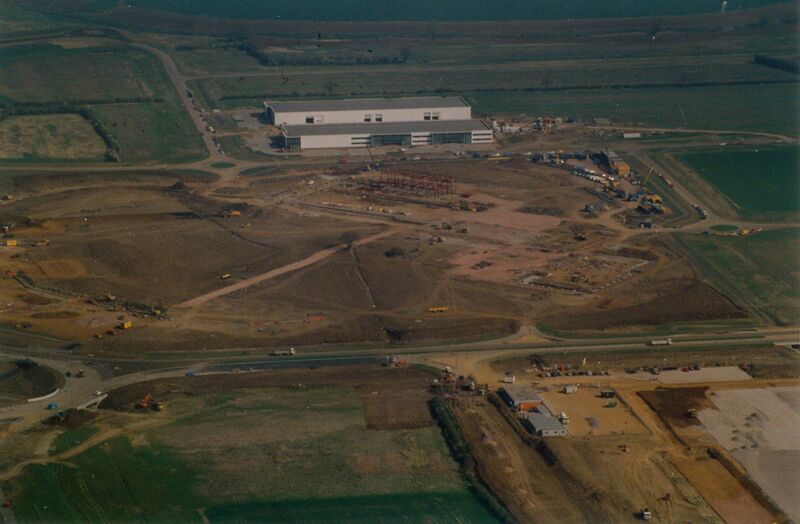 View from helicopter of unidentified Milton Keynes construction sites. This is Kingston viewed from what is now Brinklow. That big roundabout is Brinklow Roundabout and the road is the A421 Standing way. The rectangular diagonal building is now the gymnasium and the building which has already begun construction is the Tesco Extra although it was a lot smaller when it opened. The two units seen in the background are still there. The front one is on Chippenham Drive.